Baltimore, with its big city grit and artistic underbelly, was destined to become an integral part of the Food Truck Nation. Over the last few years, gourmet food trucks have been popping up everywhere from LA to Austin, but mobile catering has been around since the beginning of times. Coupled with the weakened economy and people’s undying need for great street food, we find ourselves at a fortunate cross road. We can eat gourmet food on the street. Lucky us. Talented chefs and savvy business people are all getting with the trend. The newest generation of food trucks are classing it up and getting experimental with menu items like crab fries and Korean tacos. 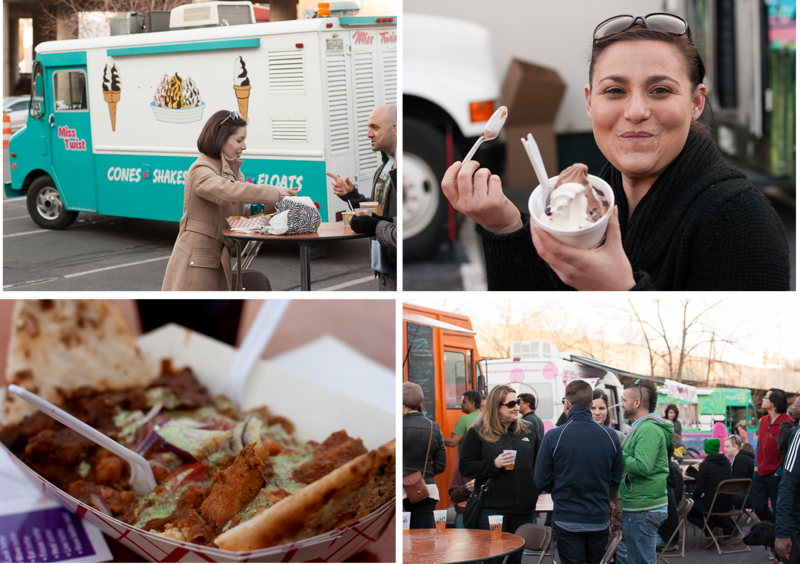 Baltimore’s food truck scene has grown over the last two years, and The Gathering propels the movement forward by forming a food truck rally that competes on a national scale. Lamb vindaloo? Check. Fish tacos? Check. Creamy soft serve and pretty cupcakes? Check. This all happens within a small city block at random times and locations. You can still buy a perfectly steamed hot dog and a soda for under $5, but at The Gathering you can also spend around $12 on a meal served in to-go containers and eaten with plastic utensils. While you chow down, drink a cold one, and listen to great music there is a sense of celebration in the air. Everyone is there for one reason, to eat good food together. Ain’t that America? I think food trucks are sooo cool, this looks like a great time! I am sure they are loving that summer is finally here! It was a great time, and I am so happy the weather is warming up! 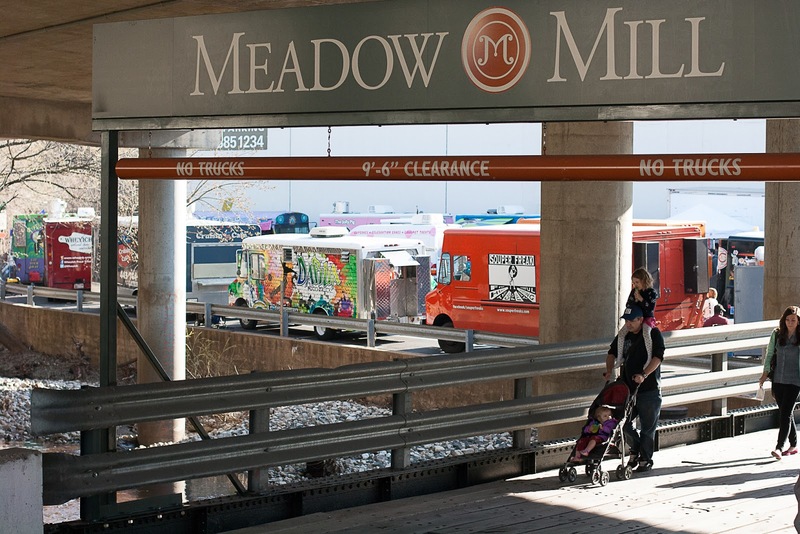 Food trucks are the best - we have some great ones here in Portland. Good food with reasonable price...super! Food trucks are fun! We appreciate what food is all about, and it's amazing how simple food prepared in limited space can be SO good! I just love how eclectic chefs are getting in these small spaces. SO fun. Indeed, lucky you! I like the fact that food trucks are more innovative and adventurous than regular restaurants. That looks like a fun event. I am so envious of the whole Food Truck thing you have going on in your country. It knocks the socks off the chip/burger van! Oh, Yum! Lucky you! The food trucks were just legalized in Chicago not too long ago, woo hoo! Sadly, none out here in the burbs. ENJOY, my friend, and have a good weekend!